Australia 2015, Piper O’Neill, will compete against 60 other women for the title of Mrs International in Jacksonville, Florida USA. Piper O’Neill made history when she took out the title for Mrs Australia, becoming the first pageant winner in Australian history to be crowned while pregnant (37 weeks). Six months later, Piper’s determined to make history again by becoming the first Australian to win the coveted Mrs International title. The model and mother of two believes a Mrs International win will be a positive step towards shifting Australia’s perception of beauty, while drawing more attention to the importance of charity. “Our society has a very specific idea of what beauty is and many people – especially women – put so much pressure on themselves to try to fit in this mould and look a certain way. Fifty per cent of the contestants’ scores are based on an interview which discusses their community and charity work. Piper’s focus as Mrs Australia has included encouraging positive body image for women as well as raising awareness and funds for Look Good Feel Better, a free community service program dedicated to teaching cancer patients how to manage the appearance-related side-effects caused by cancer treatment. The remaining scores are based on the evening gown (25%) and fitness wear (25%) sections where the contestants are judged on their confidence and on-stage presence. 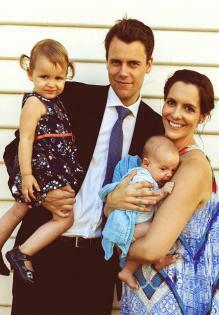 Piper is married to husband, Jordan Green and has two children; Elsie 22 months and Taylor 4 months.